Looking for that farm house feel yet close to town? Need some extra buildings for your home hobby or business? Perhaps you have been wanting goats, chickens or other livestock? 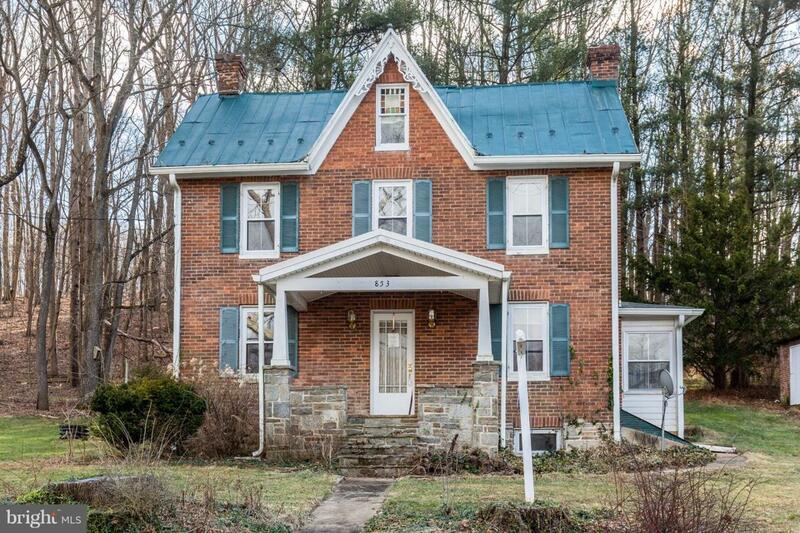 This homestead is perfect!Picturesque 3-bedroom, 2 bath Victorian style farmette set in a rural valley on 4.85 acres. Only minutes from central Westminster for easy access to local shoppes, grocery stores, big box stores, restaurants and farmers markets. 100+ year old home incorporates modern features mixed with old world charm. Home was fully renovated in 2004 to include all new electric, plumbing, drywall, furnace, windows and doors. New well and septic too! Original hardwood floors were refinished and modern amenities such as main level laundry room, walk in closets and a master bathroom added. A full floored walk-up attic allows for more potential living space!Plenty of room for gardens! The quiet and serene wooded setting allows the homeowner to really enjoy the beauty of nature. Ample space for some farm animals!The property includes 5 outbuildings. There is a brick smokehouse and toolshed crafted to look like an old outhouse adding to that old farm feel. A large 20~ x 20~ foot garage has electric and a full attic for storage. A small barn also has electric and heat via woodstove. The main floor was converted to a workshop and includes workbenches with plenty of storage in the 2nd level attic. The 24~ x 24~ steel pole barn was constructed in 2006. It has concrete floors and is also heated via wood stove.Come check out this unique home today and start living your dream! Inclusions Brick Smokehouse Toolshed (Looks Like An Outhouse) 24' X 24' Pole Barn With Wood Stove And Concrete Floors 20' X '20 Foot Brick Garage With Electric And Full Attic And A Small Barn With Electric Second Story Storage And First Floor Workshop Space including Built in Workbenches And Woodstove.